In what had been a familiar story for most of 2016, OMD and Y&R has finished 2016 as the most successful Aussie agencies in terms of client new business. Research by marketing tech firm R3 for the month of December found OMD was once again the top media agency for new business and Y&R the top creative agency. Positions both had held pretty much throughout 2016. 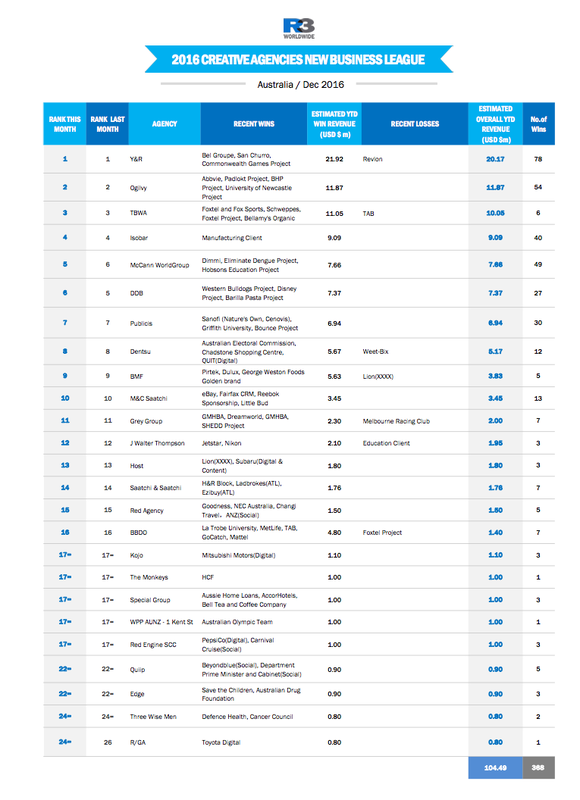 The biggest mover on the December stats list was Mindshare who stormed 12 spots to tenth on new media wins after securing the lucrative IKEA business. Likeswise, there was virtually no movement of placings for the creative agencies. Y&R appears to have grabbed hold of the number one spot and simply won’t let go. 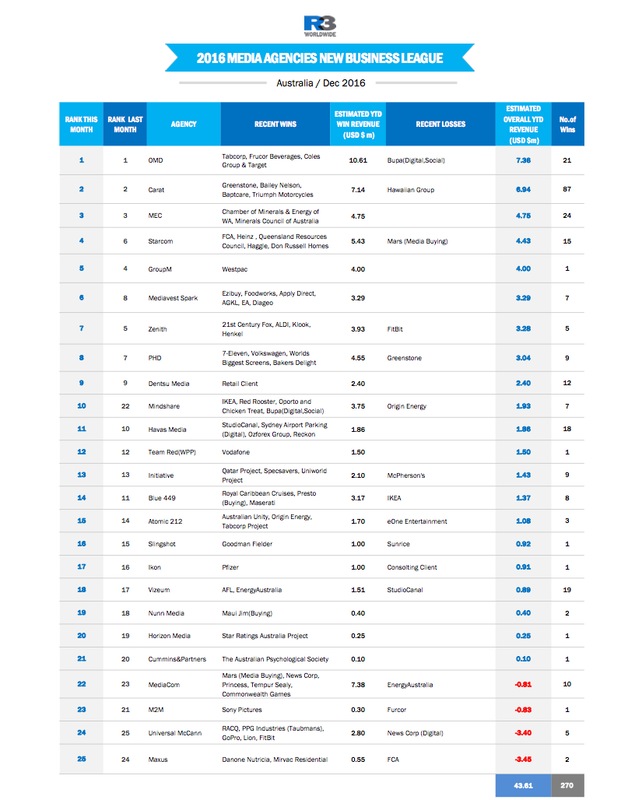 Behind Y&R in second position was Ogilvy, followed by TBWA, Isober and McCann rounding out the top five.